Is he ready to take on the threat Bane is posing to Gotham City? 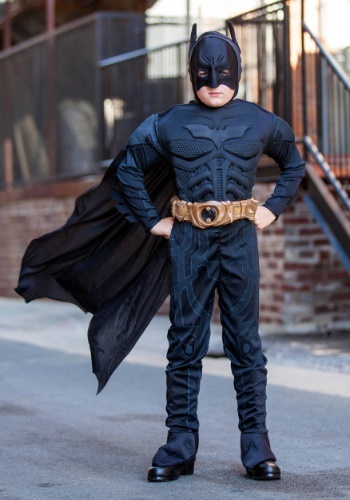 Your child can be the one who responds to the Bat Signal in this toddler Dark Knight Batman costume! As a muscle chest enhanced Batman jumpsuit, it features has a polyfoam details that have serious molded muscle definition. 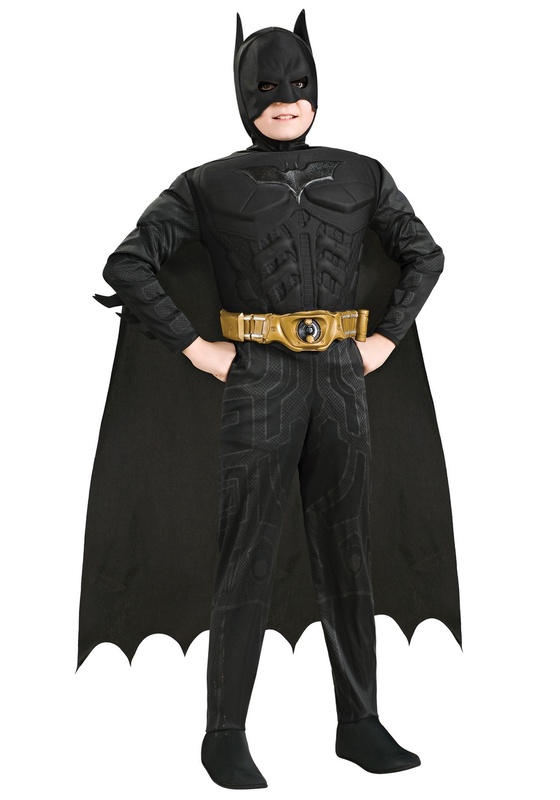 This costume has the classic details like a cowl headpiece, cape, and boot tops are attached to the jumpsuit for a seamless, complete look. When he's done up in this costume, he'll be ready to answer the call and save Gotham City! 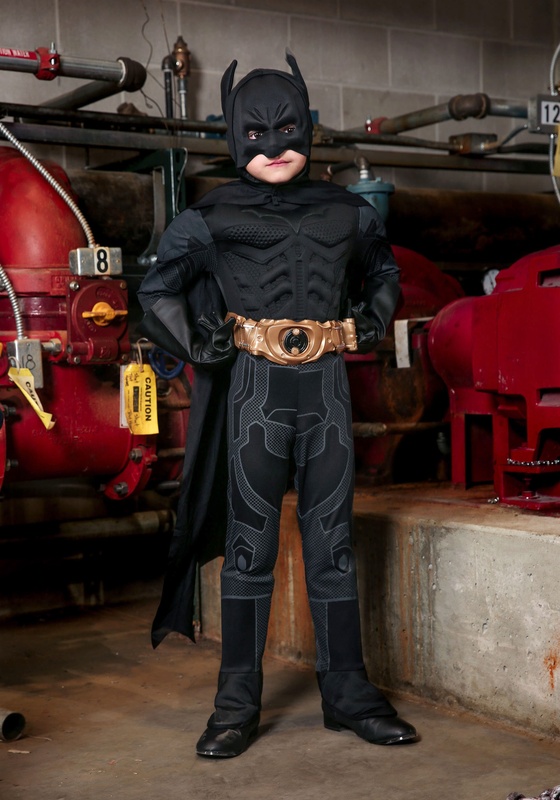 This costume is the toddler version of our iconic Deluxe Dark Knight Batman Costume. Our models are shown wearing the kid's version in sizes large and medium. The toddler's version is sized down to fit little guys about ages 1 to 2 years old and is similar to the child's version but with slight variations like an attached belt instead of a separate piece. Check out all of our officially licensed DC Comic costumes to round out your family theme and create a truly memorable experience. After all, Gotham City needs the likes of you to save the day. Check your window... do you see the Bat Signal yet?